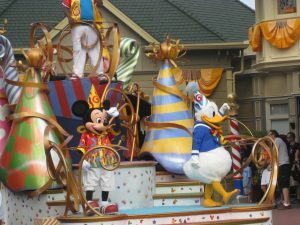 Donald Duck’s birthday prompted me to revisit the post I wrote on this momentous occasion last year. At the time, with summer vacation right around the corner, I was propelled into the heartbreaking memories of debating with Ben how his caregiving would be done when school let out, and having those arguments negated because the summer of 2015 was spent at the hospital, where Ben ultimately succumbed to ALS. Those difficult memories have cropped up again as summer approaches. Since I read last year’s post, I have been reflecting on how my grief has shifted over these three years. In 2016, as the first summer without Ben approached, I felt overwhelmed by the devastation of reliving every moment of time leading up to and including Ben’s time spent in the hospital, in which the end of summer coinciding with the end of his life. Of course, firsts are always difficult. I was consumed with worry about how I would feel during my first summer in many years without any caregiving responsibilities and without school as a distraction. 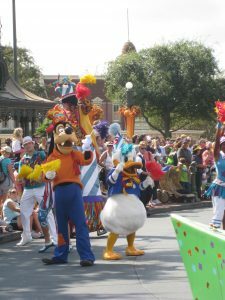 Caregiving was pretty much the only thing on my mind, so I compiled my journal of Disney quotes and started writing this blog, which was actually very helpful as I sorted through the experience. It gave me a sense of purpose to think that maybe my words and experiences would help other caregivers. This, in itself, was an enlightenment. Although I wished that Ben had never had ALS and needed me as a caregiver, I found that I am a caregiver at heart and I am most content caring for and helping others. Unfortunately, sometimes this has proven to be a convenient way to avoid taking care of myself, but that’s a whole other blog! Since going to the theater is my favorite activity, I got tickets for all of the Broadway shows I had been wanting to see. I was excited at the prospect of seeing the shows, but, once there, I found that I could not truly enjoy myself. I missed Ben. I felt guilty about doing things that I couldn’t do when I was taking care of him. I had a lot of guilt about living my life when he was no longer here and we couldn’t not enjoy our life together. Although I had the freedom to do things, I did not feel the zest of “reclaiming” of my life that people told me I should feel. I wanted Ben to be here. I socialized more, but Ben was really the only thing I wanted to talk about. After outings, I often returned home in tears because home was so lonely without Ben. I went through motions, trying to convince myself that I was doing fine, but fighting myself often led to feeling worse. The fact was that embracing my life felt daunting, wrong, and somewhat impossible. I spent that first summer dreading and planning how to spend the first anniversary of the day Ben left this world. I decided to make a video tribute to Ben for the blog and I pored over our photographs and videos. It kept me very busy and made me feel good to do this for him, for us. I bought a couple of computer programs to help me with the task, taking pride in the knowledge that Ben would have appreciated my mastery of the software. The anniversary day came with many tears and my keeping a low profile, except for sharing the video with friends, family and some of the special people who took care of Ben. I remember that the day after that anniversary was almost worse than the actual day. I spent so much time bracing myself for that anniversary, anticipating the sadness, making a plan to honor Ben. The next day, I was lost and I was miserable. I was unsure of how to act. Would people not want to hear about Ben and my grief anymore because that one-year marker had passed? What was appropriate in terms of talking about him? What was “healthy?” I knew enough to ignore the people who told me what I “should” or “had to” do, but I didn’t have any answers of my own. I’m a person who wears my heart on my sleeve, and I just had to let my life unfold, understanding that there would be good and bad days ahead. The second year passed- I became more immersed in supporting other caregivers, particularly those caring for people with ALS, through my blog and various online support groups. I embarked on a certificate program to become a caregiving consultant. I did a lot of reflection and realized that I am most comfortable defining myself as a caregiver, so losing my dad and Ben also signified the loss of much of my identity. In many ways, the second year of grief was harder than the first, because the first year becomes such a fog and the loss is new and raw. In the second year, it seemed like I felt the sadness more intensely. Since I had formed some new routines, when a wave of grief hit me and threw me off course, I had a very hard time getting back on track. There was a constant loneliness, even though I was surrounded by people whom I love and who love me. I assessed everything I did, trying to prove to myself that I was respecting Ben, grieving appropriately, and coping well with life. The truth was that although I was active, going to the theater, seeing friends, writing, volunteering, and I even created a profile for online dating, I was also floundering. I was tiptoeing in the world of the living without really delving into it. It was during that second year, last June, when I wrote Donald’s birthday post, and I could not shake all of the memories of the summer of 2015, when Ben went into the emergency room and everything changed. I found myself wondering if I was grieving too much, crying too much, dwelling on Ben too much. Still, I was determined to have a productive and positive summer and take grief with me. I made plans to travel to spend time with good friends, something I had not been able to do for several years. I was excited about it, and I did have a wonderful time, but Ben still had a huge presence. I talked about him frequently and kept him close, which sometimes made me miss him even more. I even bought things simply because he would have liked them, bringing them home only to face the obvious truth that he was not really here to enjoy them and then dealing with another setback. But, I have only come to understand in retrospect that I could not venture forth without him. On the second anniversary of his “leaving,” as he called it, I reposted the video I made the year before. I decided to stay home and keep a low profile. Sadly, as it turned out, I had to attend the funeral of my best friend’s mother, who was often like a surrogate mom to me. It was a day of loss and tears but also of thinking of good times. This year, heading towards the third anniversary of Ben’s passing, I am facing the summer with less dread. I still think of this time of year in terms of the markers of Ben’s battle with ALS, and I drift back to those memories and give into the bouts of sadness, but as Dory taught me, I just keep swimming. I accept that this time of year will probably always have a tinge of melancholy. However, with more enthusiasm and confidence, I once again made plans that I am looking forward to. I do not feel the same level of guilt about enjoying my life, although I still grapple with the knowledge that adventures would be better if Ben was still here. Some of my plans include things that Ben and I wanted to do together, like a penguin encounter at the Georgia Aquarium. I’m a little wary about it because it stands to be emotional, but I also want to honor our relationship and the things that were special to us. I guess the positive thing is that I am not letting grief or guilt hold me back from living. I am not yet comfortable being on my own, and still often refer to Ben and our life, but I am out in the world having new experiences. Maybe on some level keeping him so close keeps me in our relationship, but I fully believe in my heart that Ben is always watching over me, which gives me comfort. But, I am also creating new wonderful memories. I am not worrying- at least not yet- about how I will spend the third anniversary of Ben’s leaving. I have come to realize that I cannot plan my emotions. The day may be easier or harder than I anticipate. I will let my heart guide me and not fight myself. There will be no right or wrong about what I choose to do or not to do. As I reflect on the past three years, I see that I have learned to coexist with grief as I respectfully give grief its time. 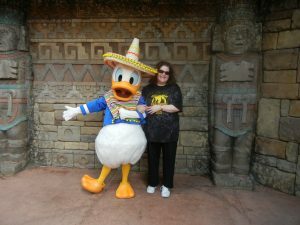 I would not have predicted that Donald Duck’s birthday would provide an opportunity for reflection and insight into my grief, but reading my post from last year and once again poring over our photographs, with a combination of smiles and tears, let’s me know that I am doing ok. I still cry, I still feel sadness, I still miss Ben, and I am okay with that because those feelings speak to the wonderful times that we have over sixteen years. The Disney magic must never be underestimated. When we were at Walt Disney World, Ben and I stepped into a carefree fantasy that helped us to, at least momentarily, transcend the challenges of ALS. Our photos, some of which I share here, were so important to Ben as his ALS progressed. He loved to relive the healthy days, but he also examined his physical changes as a result of ALS. The photos were essential to me in the early stages of grief, particularly when I wanted to keep him as close to actually being with me as possible. They remain a treasured and positive part of my dealing with the rough times of missing him. I never lose sight of how lucky we were to have a special love and to share this love of Disney that always shed much needed pixie dust on our lives. Donald is part of those special memories that comfort me. 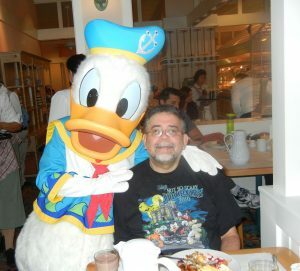 So, with gratitude and joy, I say Happy Birthday, Donald Duck.